Exklusive 180gr Black LP zum RSD inkl. Patch! 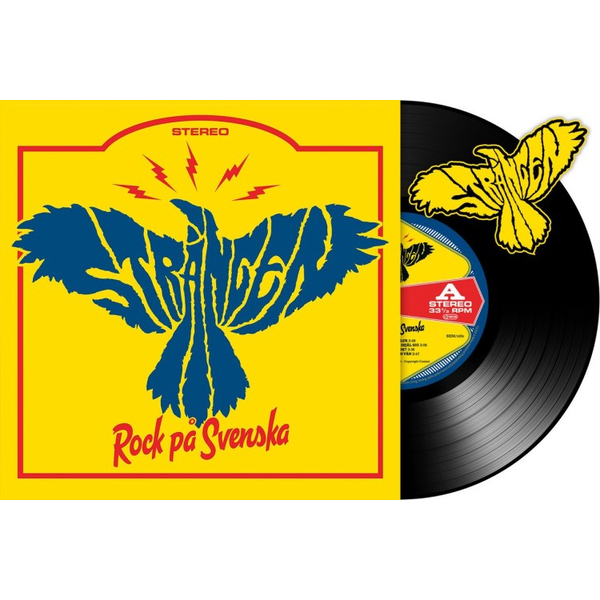 "Rock på svenska", the album that Robert "Strings" Dahlqvist worked on just before he tragically passed away 2017, will finally see the light of day. In consultation with Robert's relatives, the recordings were finalized by producer Chips Kiesbye, based on the ideas that ?Strings? and his band members shared during all talks and planning sessions. The result, "Rock på svenska", is a salut to the rock scene. A swift, personal and fast-paced record. From the rock anthems "Thriller" and "Rocken é inte död" to the declaration of love "Din hand" and the ending track, dedicated to the daughter, "Ingrid". As icing on the cake, the 2016 single "Bangatan" is now performed in full-fledged rock outfit.